When you are starting out with your blog – or even when you are already blogging for a couple of months – to find an audience for your blog is often hard. The number one reason why bloggers give up, ist because they fail to get enough readers to their blog. In today’s internet world, there are millions of blogs around – and even more new blogs created every day. It is more or less impossible to find a niche that is not yet crowded. Just have something to contribute and providing awesome content is not enough anymore. Fame for bloggers does not come magically on its own. And all those Bloggers, YouTubers, Instagrammers have one thing in common: They totally excel at building an audience and marketing themselves and their content. Here are 17 hints on what a ton of newbie bloggers – and even some established blogs get wrong. And to be honest, when we started marketing our first content based business a couple of years ago, we committed some of these mistakes, too. When you are thinking about starting a blog you have to be aware of one thing: A blog means a ton of work. And a lot of this work comes way before you will be getting paid back with feedback from your audience, fame or even can think about making money from your blog. A new blog needs regular updates. New blog posts have to come out all the time. You cannot just publish content when you have an idea or nothing else to do. You have to make room in your daily schedule for tasks related to your blog: Writing new content at a couple of times per week is one of them. but other tasks will come on top of producing content. 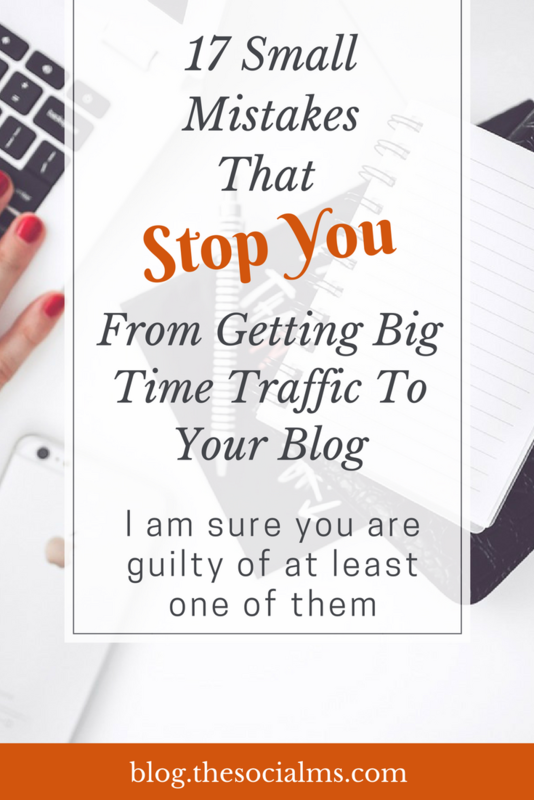 While an established blog that already has a ton of traffic may be able to keep this traffic even if they do not post so much new content, a new blog that is silent for weeks has no chance of growing traffic. A lot of bloggers think about how it is going to be once they have an audience. They are willing to answer comments and respond on social media – but they totally underestimate the frustrating first months, when no visible reactions come in and when it looks like they are spending hours on end to create the best content they can – for nobody at all. Blogging success does not come overnight – and an audience and traffic need to be built. This costs time, whether you are going for SEO traffic or social media traffic – you will not see a ton of results for at least a couple of months, even if you get everything right at once. And chance is high that you need to learn how to build an audience first and make your own fair share of mistakes. I have seen this a lot: Bloggers share their blog posts on social media once – and in between their accounts are silent. You will have a hard time to build an audience this way. If you are building a social audience, your accounts need to be active all the time. And while you can fill the need for content with curated content, your best chance of getting social media traffic is if you keep sharing your blog posts with your interested audience. Especially on Twitter, it is totally legitimate to re-share your own blog posts if they are still relevant. But even on Facebook, you can re-mention your posts: Why not make a new image, create a question related to your post – or share the post in a group where it fits? 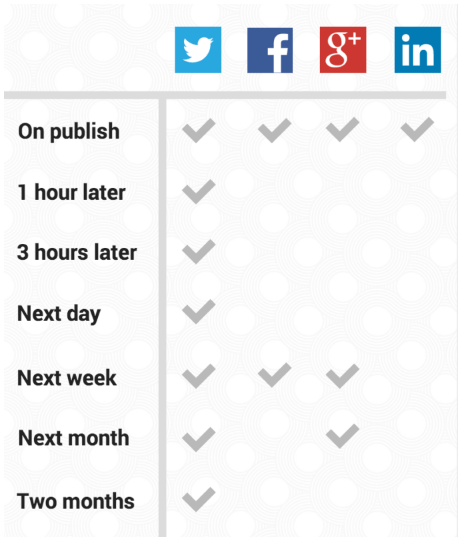 There are a ton of options to keep sharing your evergreen content and use your chance. I admit it, I am lazy – or rather when it comes to sharing other people’s content, I am not willing to invest a load of time. And there are a lot of people like me. You can wait a long time for search traffic to come to your blog if your blog is not SEO ready your chance of getting a ton of SEO traffic are more than meager. Jonathan recently published a guide to getting your blog SEO ready. 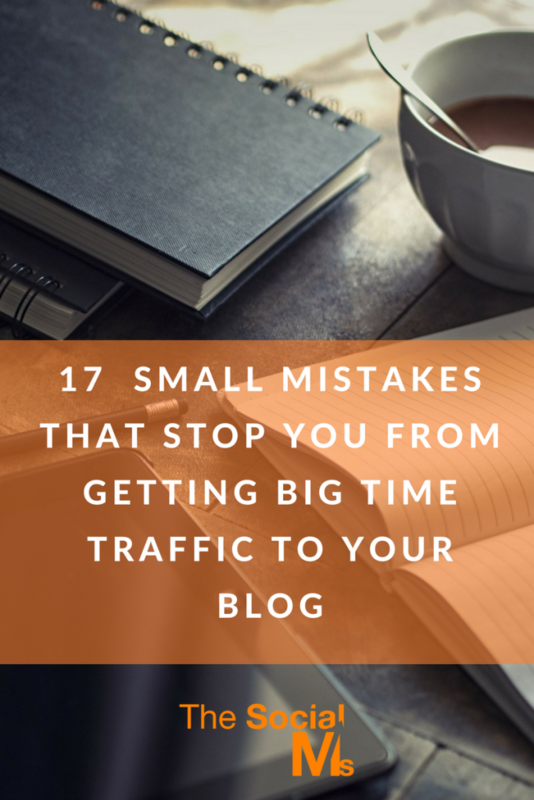 You are just starting out, your blog does not have to be perfect – no problem. But there is one key aspect that is a surefire way of chasing away what audience you would have been able to get: Long page load times. People are always in a hurry. While 20 years back we may have been willing to wait some time for a page to load, in today’s fast moving internet world, we lose interest after a few seconds. If your page takes longer to load, you will not have a chance of growing an audience. On mobile people are even more in a hurry. And most importantly: Page speed is a ranking factor for SEO. 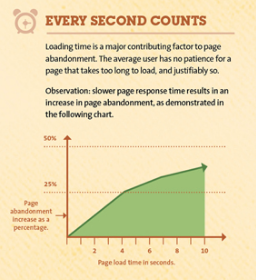 If you need some tips on how to optimize for page speed, check out this article. SEO is not all about spammy backlinks or mentioning your new blog in a ton of unrelated and unwelcome blog comments. Actively doing SEO starts with keyword research, and optimizing your post and website itself for SEO. There is a lot you need to do before you can even expect to get traffic from search. And none of the things you have to do to start doing SEO are extremely difficult or need some expert knowledge. If you want to get traffic from search engines make sure you do your homework. Newbies at social media and blogging often make the mistake to expect people to listen to them simply because they exist and they post. That is not going to happen. Build your audience, keep in mind that you have to provide something of value to your target audience – that is the ultimate precondition for people to follow you and listen to you. Make sure you understand your target group – that will be your key to your audience. When I was still in in scientific research and was starting to get into the international research community, a lot of my work started to be in English – instead of my mother tongue German. While I have been fairly fluent in English for some time, I had to carefully learn the lingo that was specific to my niche. And that is exactly what you have to do with blogging too. You need to use the right keywords – or people will neither find you and your content as related to their interest – nor will they recognize what you are about simply because you are not using the keywords that people expect and that people will instantly connect to the right topics. If you are looking for search traffic you will even have to take it one step further and research what keywords people are searching for if they are looking for content like you provide. This is a very common beginners mistake in social media marketing. People who do not know how all the networks work, tend to try one network after the other, and when results are not what they are looking for they add another network to the mix. Social media does not work like that. Instead of wasting your time on a ton of networks without a clue how they work, you need to learn marketing for one network at a time. Getting one social network right can be the key to your marketing and blogging success, while you could be wasting your time on several networks forever and never see any measurable success. Bloggers often think their job is done with creating content. That is wrong. While some bloggers even consider that they will either need someone to technically set up the blog – the marketing or distribution part of blogging still does not get the credit it deserves. If you have an idea what you are going to blog about, great. Now make a plan on how you are going to distribute your posts. The best place to start getting an audience to your blog is to let everybody know about it. Do not wait for fame before you let your family and friends know. They are your best audience: They will give you honest feedback and are probably more than willing to honor your efforts with a Facebook like or a comment on your blog. Blogging is not about being perfect. A lot of blogging actually is about being honest and sharing a personal opinion. It is not scientific research and it is not journalism. It is all about YOU. And what makes you you is much more important than being perfect. Trying to be perfect will keep you from getting things done. Perfect does not equal successful! Are you feeling small and unimportant for being a newbie blogger? If you do not believe that you have something of value to say – that is a bad place to start blogging. People are not more important and their opinion is not more important than yours just because they have more social media followers or people on their email list. They simply came a little earlier to the game and have a couple of years headstart. If you want to become a successful blogger you will have to become a great marketer. Blogging success does not come on its own – it needs to be earned. And if you browse around the internet, you may notice that often the blogs with the biggest audience are not the ones that you like the best. But the blogs with the biggest audience have one thing in common: They have great marketing. Either you can outsource your marketing and pay good money for it – and that is exactly what some bloggers are doing. Or if that is not an option, the decision to become a blogger will have to go hand in hand with the decision to learn marketing. Building your network is key to a lot of success that comes with blogging. It all starts with collecting email addresses – because your email newsletter where you send out every new blog post to your subscribers will easily turn into one of your best traffic sources. But you need to grab every chance you have to connect with other bloggers from your niche: They are not all your competitors, they can also become your allies or even best blogging buddy. Relationships open a lot of opportunities. You can write posts together, you can guest post, you can interview bloggers, you can help them market their products – and get them to market your products too. Blogging is a community effort. Build connections and you will get paid back multifold. OK, so you considered search traffic and social media for generating traffic to your blog. But have you had a look at all the other opportunities that at least one blogger used to their advantage? There is so much more to explore and consider – and success is there for the creative bloggers. Look at LinkedIn publishing, Medium, Buzzfeed. Share your posts on StumbleUpon. Find a forum for your niche and see how you can build your network there. Take a look at Facebook groups and Pinterest Group boards. There is so much more to spread the word about a new blog than SEO or social media! Blogging success in form of traffic does not come overnight – and it most of the time does not come if you do not go for it. You need to market your blog and be creative about it. If a marketing effort does not work, figure out what is going wrong and change that – or dismiss it and figure out what you should do instead.